The countdown to the holiday season is well and truly underway, with social events and Christmas shopping dominating much of our time. 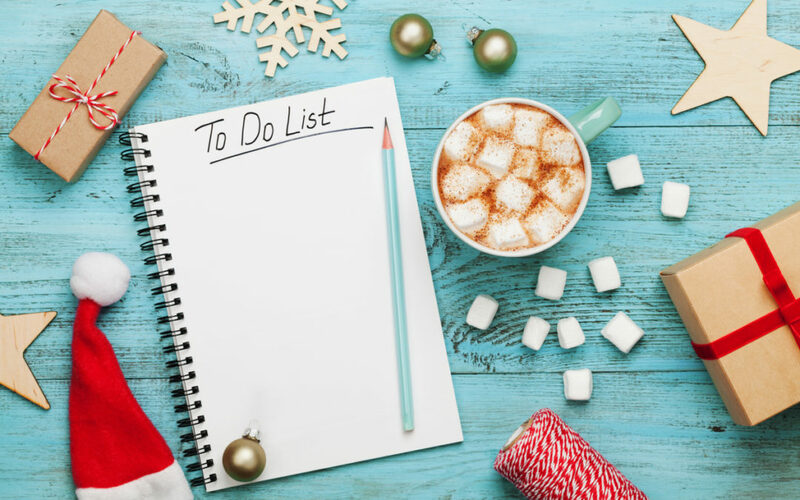 If you’re planning on getting away over the festive period or into the new year, don’t forget to spend a few moments running through ADT’s home security checklist. Organise a home security professional to visit your home: ADT’s licensed security experts can assess your home and create a tailored solution with your individual security needs and budget in mind. We recommend installing a new security system several weeks before you leave so you can become familiar with all its functions and features. Consider live streaming cameras: cameras positioned around the home are ideal for monitoring all sorts of situations from checking on parcels left at the front door to peeking in on pets while you’re away. Video monitoring can be included as part of an ADT Interactive security system to view the home remotely 24/7 via the ADT app on your smart device. Document your valuables: having an updated list of valuables, including photos, can provide vital proof of ownership in the unfortunate event of a burglary. Note down any distinctive features or model numbers and if possible, etch the item so it is easily identifiable should it be recovered. Ask your neighbours to keep an eye on your home: having a trusted neighbour to collect the mail and bring in your bin will help ensure your home is less tempting to burglars by giving the impression that someone is home while you’re away. Hide your valuables: in the unfortunate event that an intruder breaks into your home, don’t make it easy for them to locate precious valuables which are often irreplaceable. Hide items, such as jewellery, electronic devices, car keys and sensitive documents such as bank statements, in a hard to find place or better yet, lock them away in a safe. Spray your alarm sensors to help prevent false alarms: insects and spiders can be a common cause of false alarms so before you leave, give your security sensors a light spray with insect repellent to help deter pesky bugs and spiderwebs. Automate your lights: programming your lights to switch on and off while you’re away is a clever tactic that helps create the impression that the home is occupied while you’re away. ADT Security’s home automation package now includes new smart light bulbs as well as z-wave plugs that allow you to operate lights remotely via your smart device. Update your emergency contacts: if you’ll be overseas or in a remote area, make sure you have a nominated emergency contact. If you’re an ADT customer, don’t forget to call and update your emergency contact details. It is also a good idea to give the contact details to a trusted neighbour. Don’t reveal holiday plans online: oversharing personal details on social media can put your home security at risk. Be careful not to post your whereabouts or holiday plans or use geo-tagged posts. While it’s tempting to share exciting images from exotic holiday destinations, try to wait until you’re home to upload them. One of the biggest mistakes people make before they go on holiday is failing to prioritise home security. Taking these preventative measures will help ensure you spend your holiday relaxing instead of worrying about what’s happening back at home.